This statistic presents the frequency of internet users in the United States accessing Facebook. As of February 2018, it was found that 62 percent of U.S. online users accessed Facebook at least once a day. 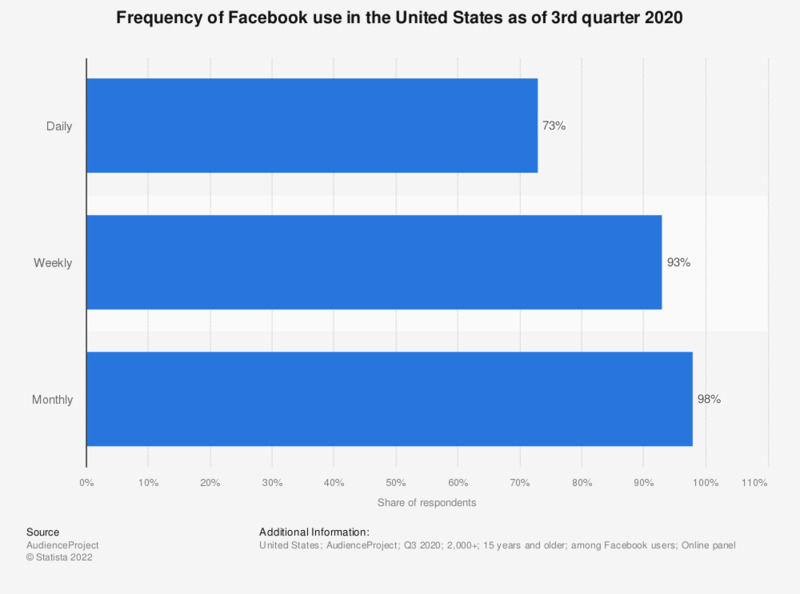 Facebook is the most popular social media site in the U.S.